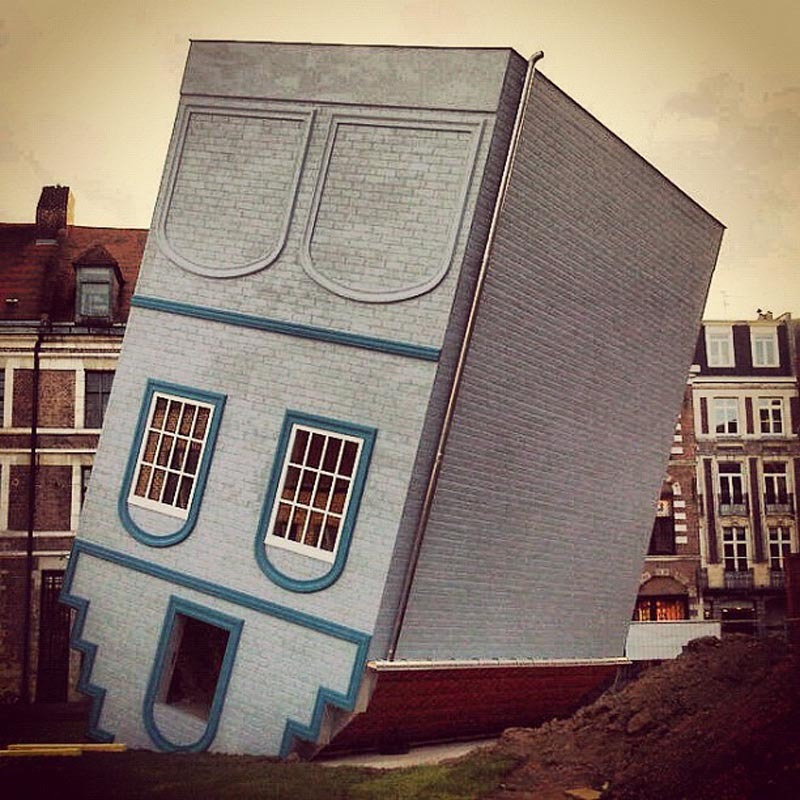 French artist Jean-François Fourtou has always wanted to be an architect. Through a series of experiments in his studio in Madrid, Fourtou played with dimension and proportion, mostly distorting them, and applying these experiments to a decade-long project of installations on his property in Morocco. 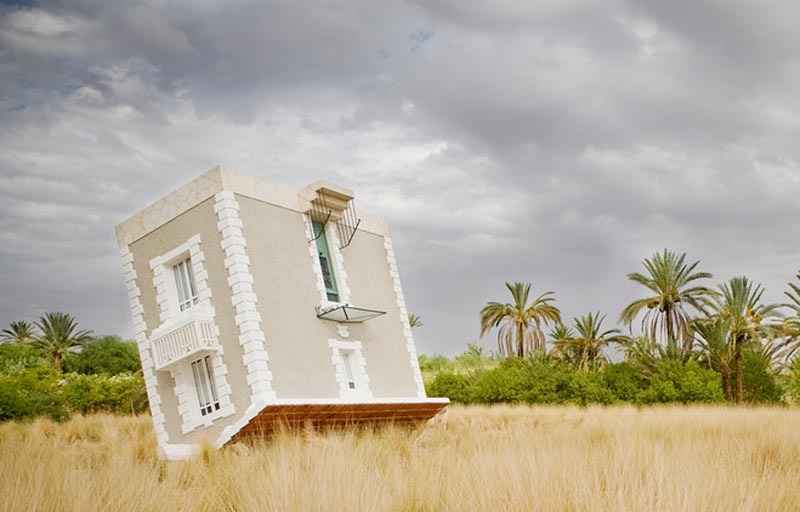 Tombée du Ciel (Fallen from the Sky), the upside down house inspired by his grandparents’ home in France, reproduced to scale and plopped on its roof with its entrance via window, is one of these works. Reminiscent of scenes from books such as Alice in Wonderland or Gulliver’s Travels, the experience of walking on the ceilings (or, if you’re Lionel Richie, perhaps dancing) must evoke both a disorienting and funny feeling. Can’t help thinking of Stray Light Grey a little bit. Currently, Fourtou is exhibiting a version of his Tombée du Ciel as part of the Festival Lille3000 Fantastic 2012 in Belgium.